Super reinforced model for mounting and disassembling your machine without changing it. 2,14 € 2.14 tax incl. 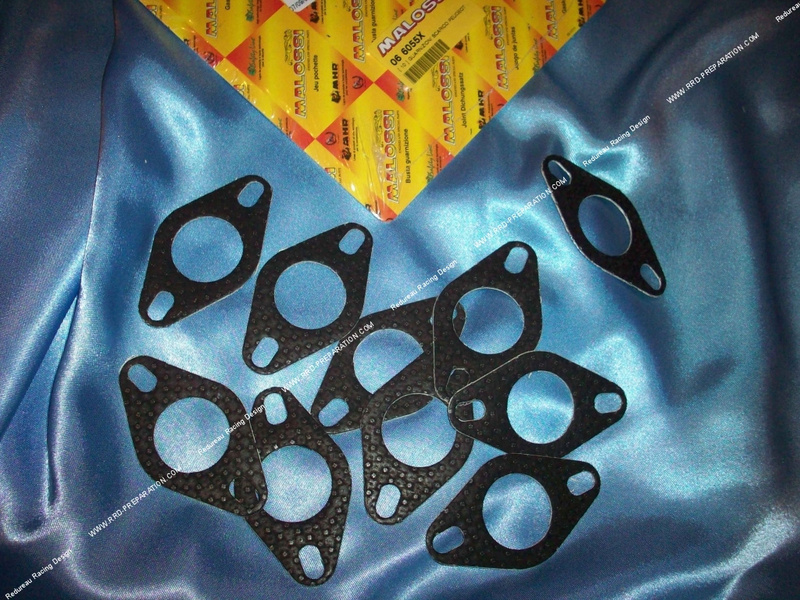 Exhaust gasket MALOSSI competition, this model is super reinforced, made in materials more studied and more upscale! Its cut is perfect and allows to mount the normal flanges 103 Peugeot, but also the large flanges MALOSSI. This seal will resist to assembly / disassembly without problems, we always advise to assemble these joints with the gray grease high temperature in order to avoid the bonding during a disassembly.